We know how stressful it can be as a pet owner to leave your dog at a kennel or with someone you don’t know. 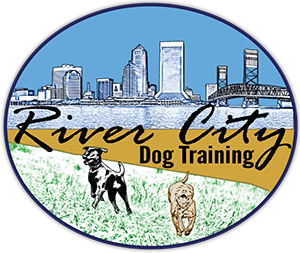 Here at River City Dog Training, we accept dogs for boarding, day care and dog training. You can rest easy since Jessica personally oversees the activity. She is a certified dog trainer that is comfortable around any dog, and knows how to handle different personalities. Your dog will be staying in a house, not a kennel. They will have have other dogs to play with or if your dog doesn’t like other dogs they can just have one on one human time. 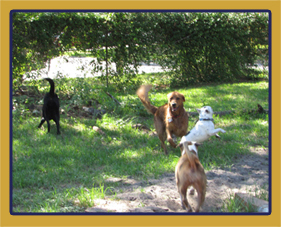 They will have a great time with us, and you can feel confident your dog is in good hands. 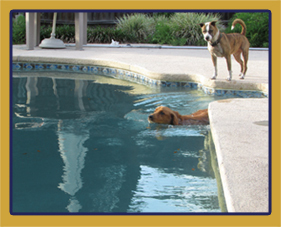 When you board your dog at River City Dog Training, your dog will stay at our house, with a big yard and a swimming pool. Boarding here provides your dog with socialization, with an actual dog trainer watching your dog. Your dog will receive unlimited amount of play time with other dogs or just with humans, depending on your dog’s needs and temperament. So you know your dog is in safe hands, in a safe place with air conditioning and not just staying in a dog run. We provide daily photos of your dog and you can contact us any time to check on your dog. Call us today at (904) 701‑2729 to schedule a Meet and Greet! Dog stays in a smoke-free, air-conditioned, home environment. All dogs go on at least one walk per day. Dog has access to spacious back yard and pool. Opportunities for social interaction with other dogs, as temperament and personality permit. Puppies, Elderly or Dogs with special needs welcomed.